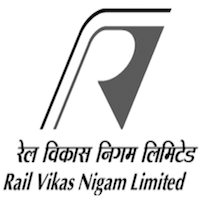 Online Application Details for Rail Vikas Nigam Limited RVNL Recruitment of 2 Assistant Manager / Senior Executive is given below. Candidate's minimum education qualification for the Vacancies in Rail Vikas Nigam Limited RVNL should be . Senior Section Officer / Section Officer / Accounts Assistant of Indian Railways. Application form and duly attested documents are to be sent to Additional General Manager (HR), Rail Vikas Nigam Limited, Plot No. 25, First Floor, August Kranti Bhawan, Bhikaji Cama Place, R. K. Puram, New Delhi - 110066. In envelope super scribed with 'Application for the Post of Post Name'.